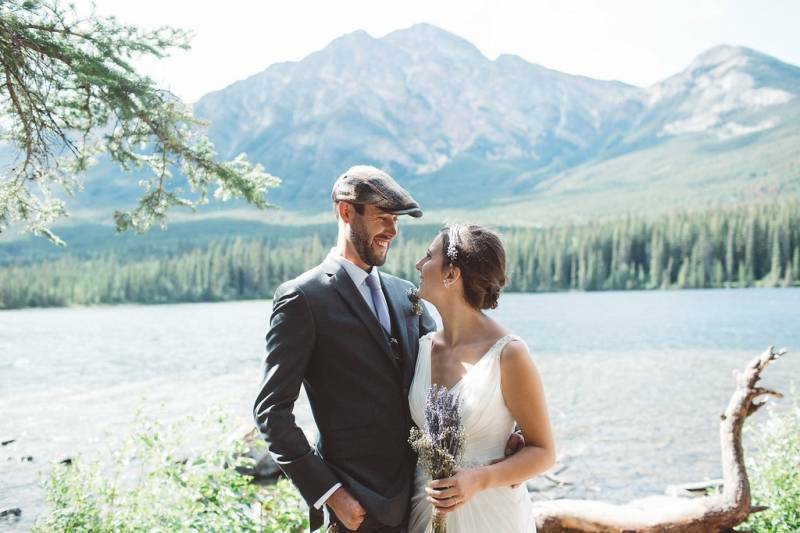 It's a little rainy today in our neck of the woods so I'm excited to share this bright, beautiful and romantic Jasper wedding from the very talented Edmonton wedding photographer, Michelle Larmand Photography. 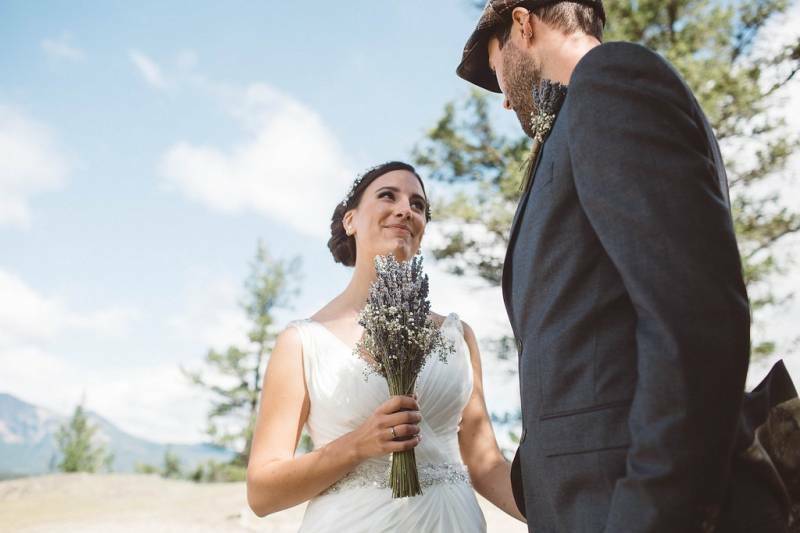 Lisa and Derek wanted to keep their wedding simple and meaningful, they decided to forego attendants so they could simply focus on the two of them on their wedding day. 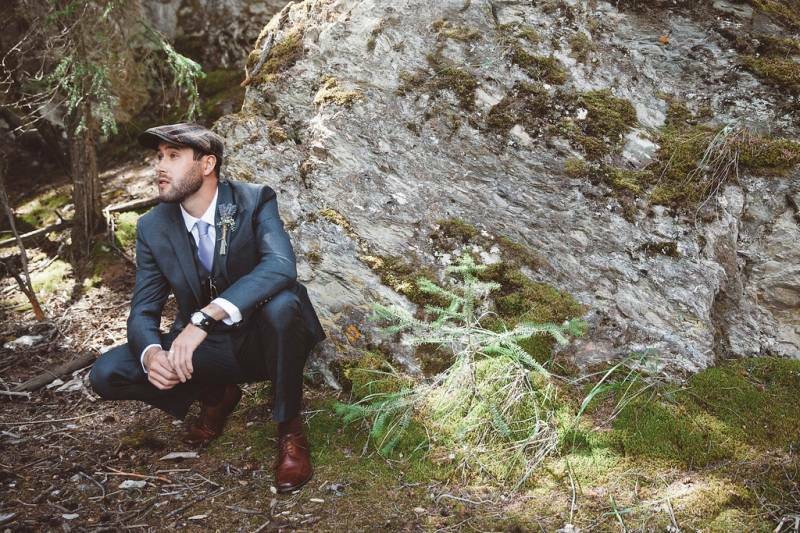 Derek got ready on his own and drove over to meet his beautiful bride in a special location overlooking the town of Jasper. 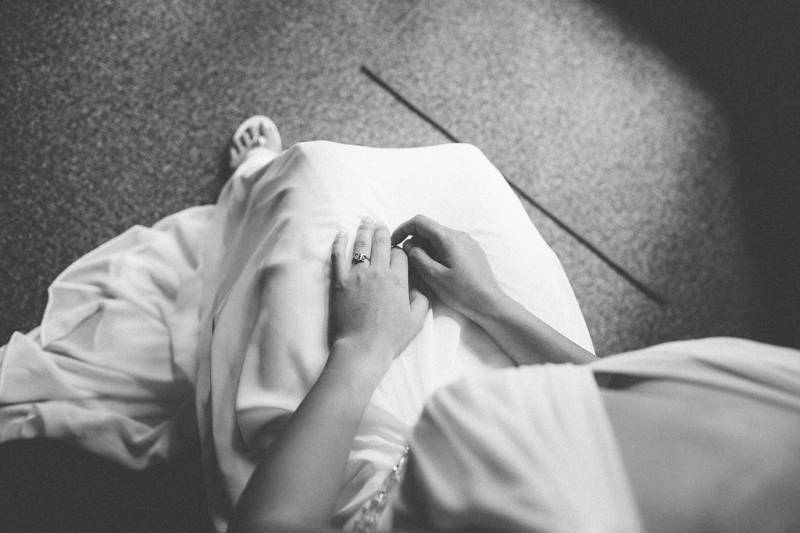 Lisa got ready with the help of family and friends and then went off to meet her soon-to-be husband, where they planned to spend time together exploring the beauty of the area and basking in the moment of this glorious day (while their amazing photographers captured all of the moments of course!). 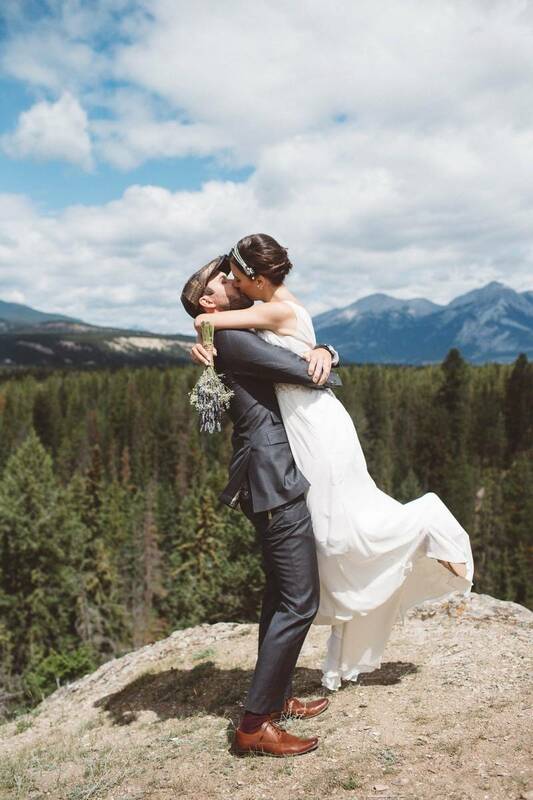 Michelle Larmand Photography (Edmonton wedding photographer) captured their first-look in the most beautiful photographs full of emotion. 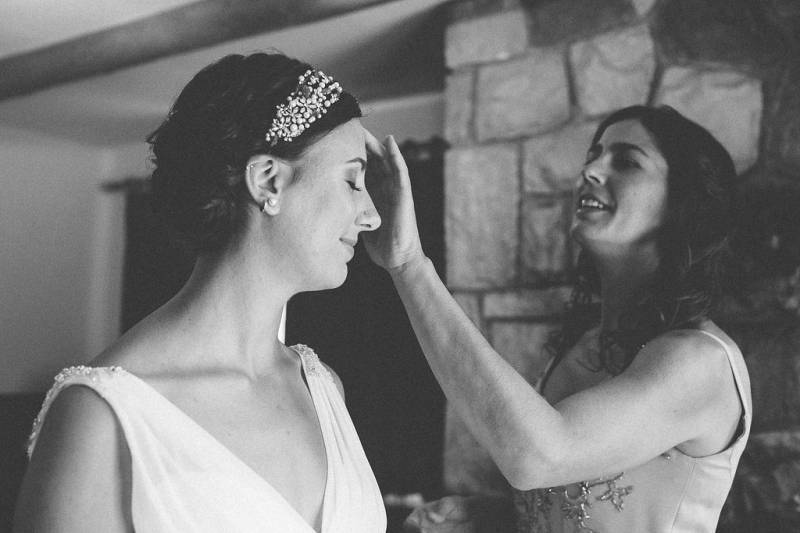 What a treasure these photos are! 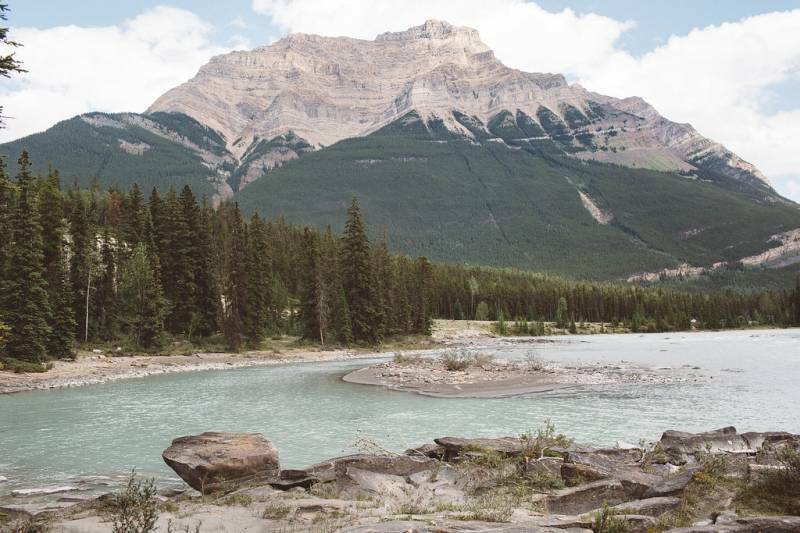 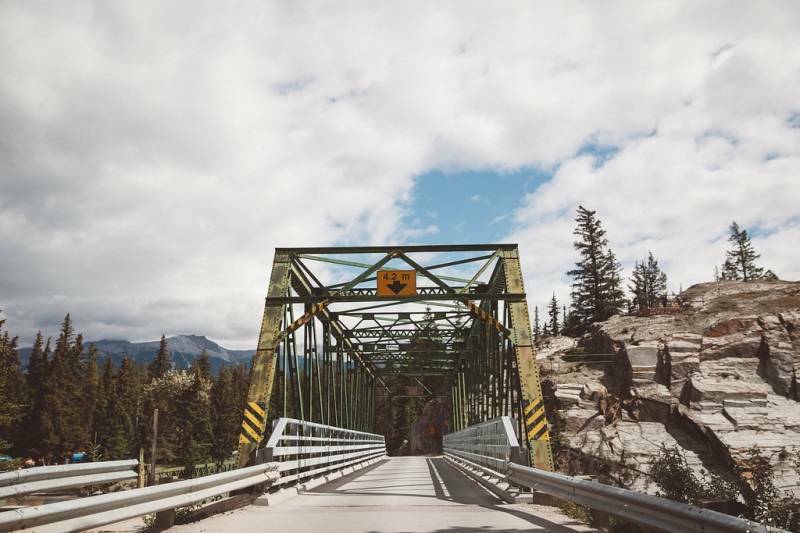 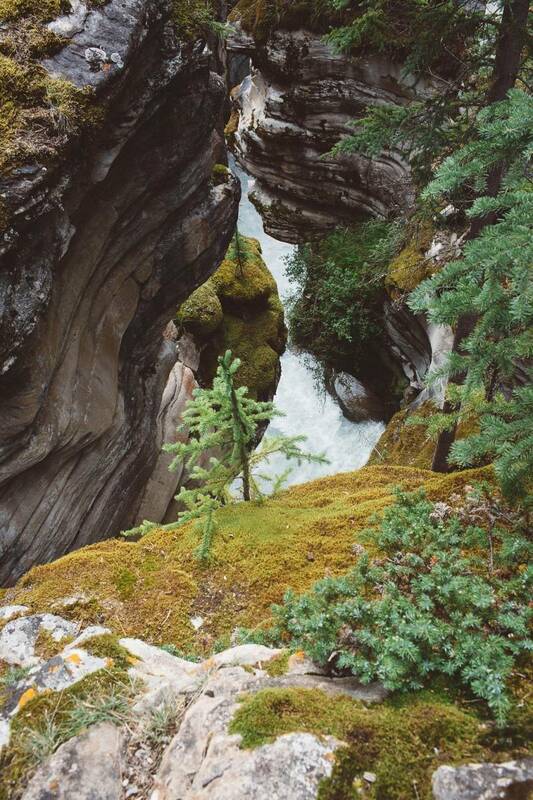 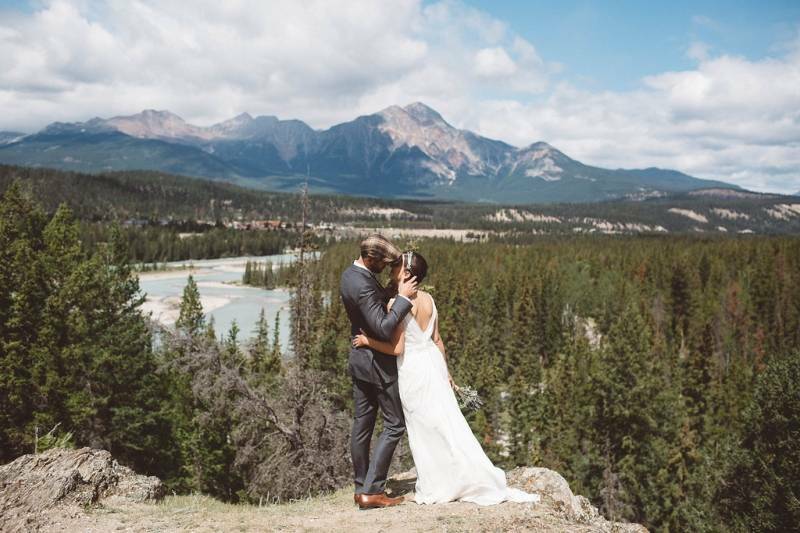 After connecting and taking time to feel the emotions and beauty of the day, Lisa and Derek set out exploring Pyramid Island and the Jasper townsite. 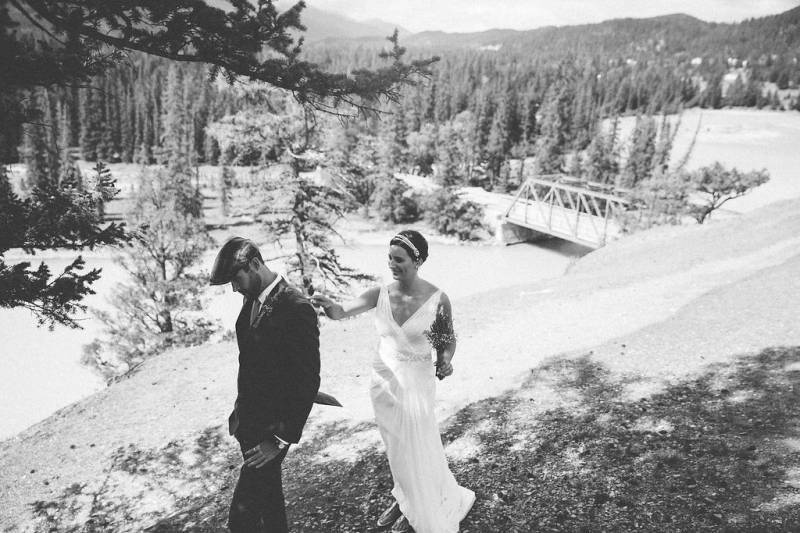 Having no bridal party, they had lots of time for photos and special moments just between the two of them. 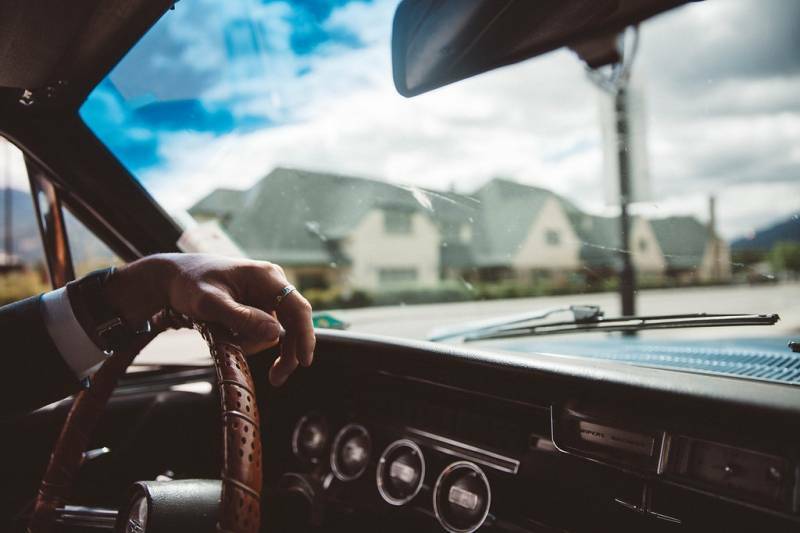 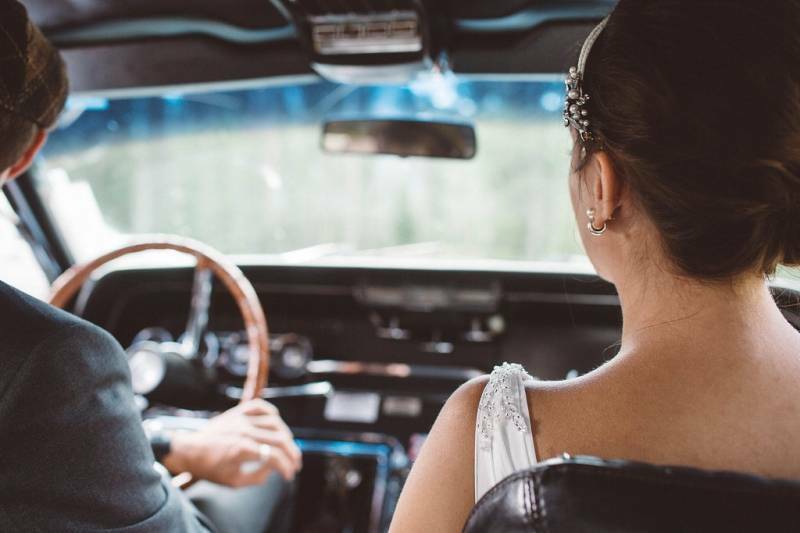 The pace was relaxed and the two of them were able to really enjoy the entire time without any stress or time constraints. 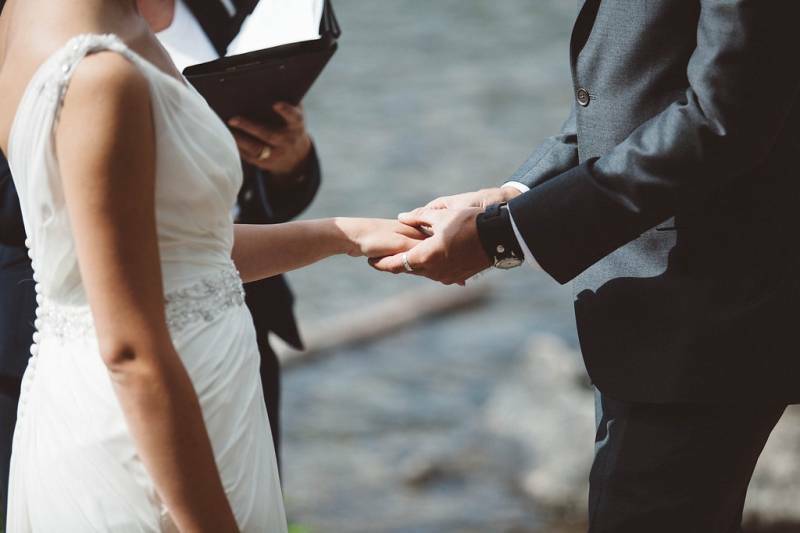 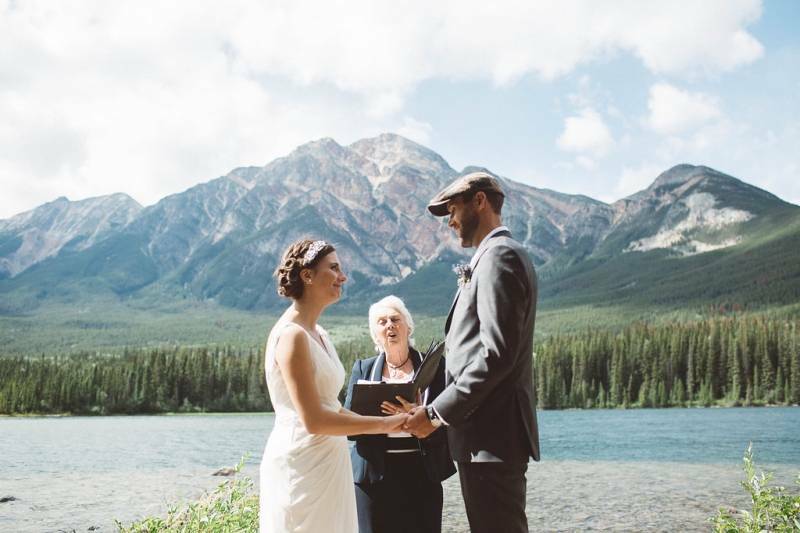 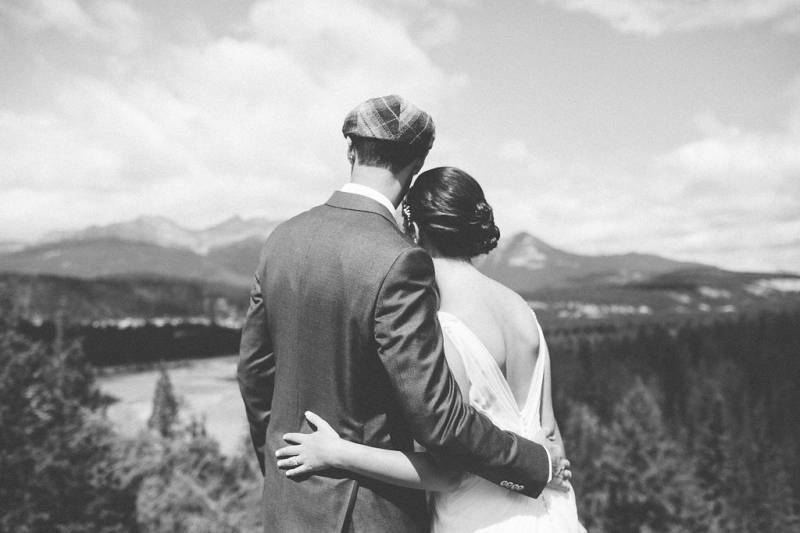 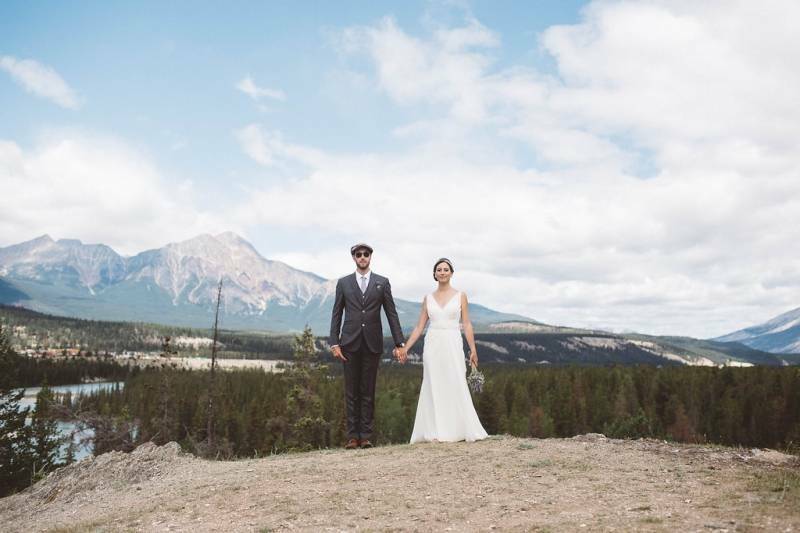 The wedding ceremony was held overlooking the tranquil Pyramid Lake in Jasper. 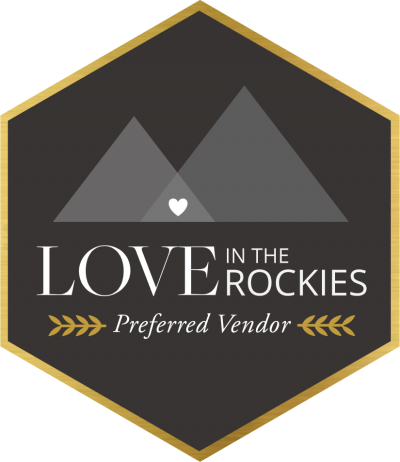 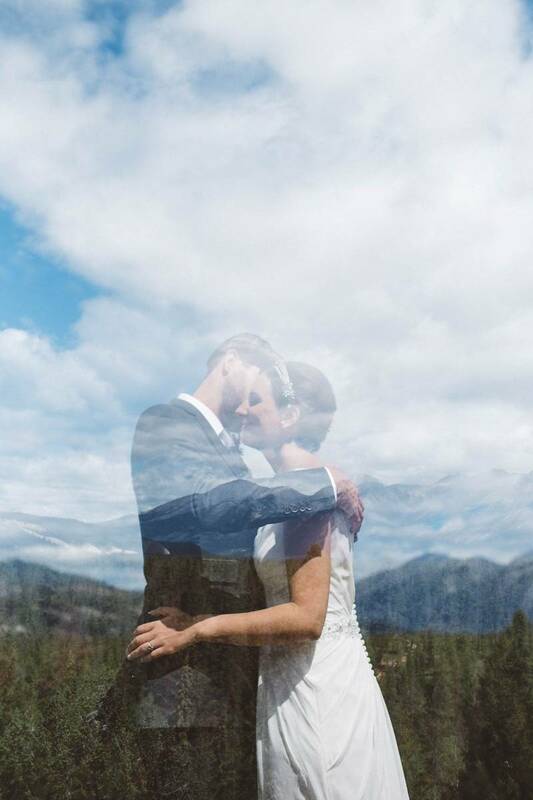 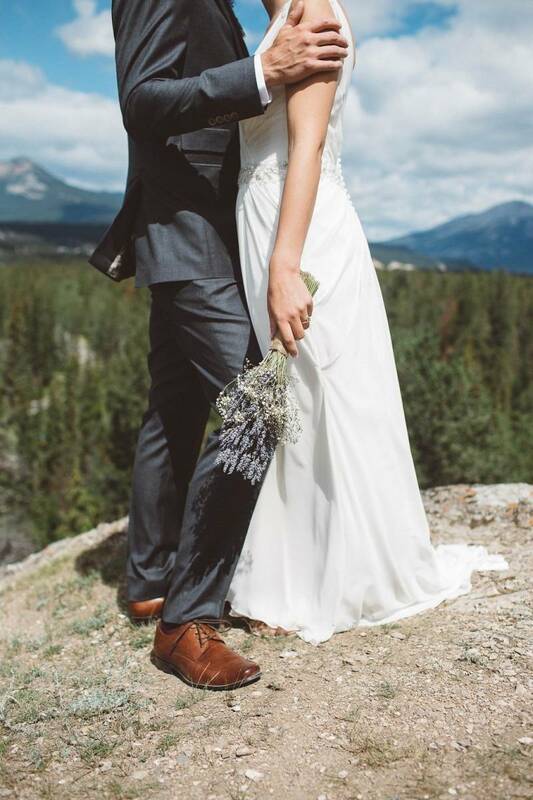 The Rocky Mountains were stunning as usual, the sun was shining, the temperature was perfect, and these two beautiful souls promised themselves to each other in front of their closest family and friends. 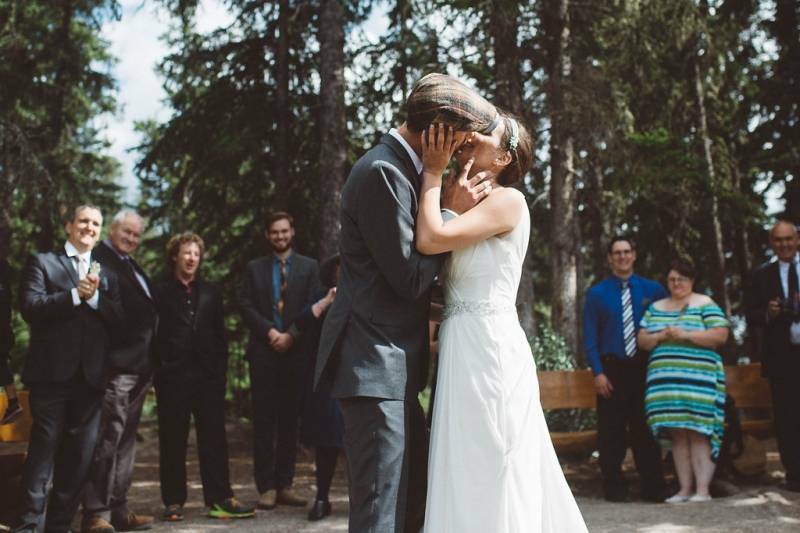 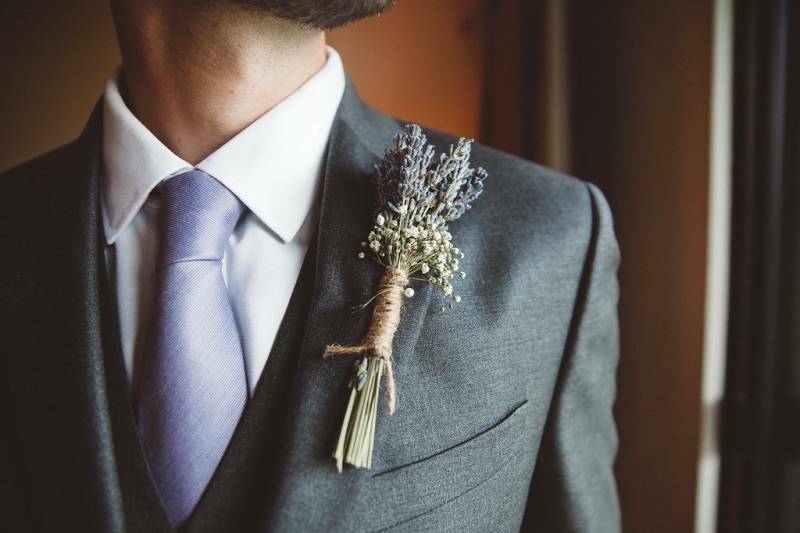 It was a simple and romantic ceremony, yet deeply beautiful and moving. 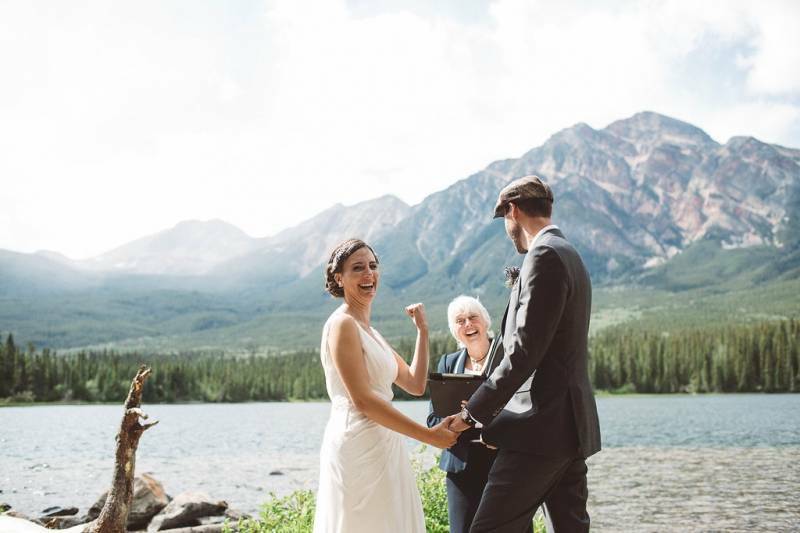 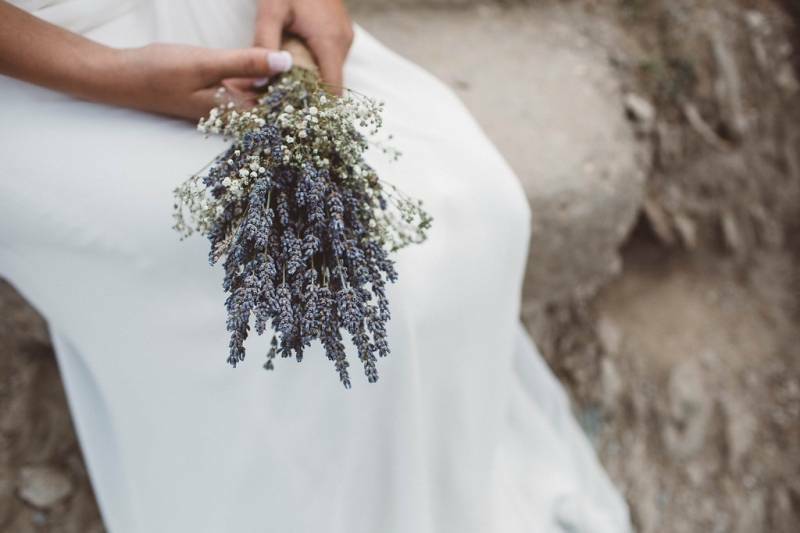 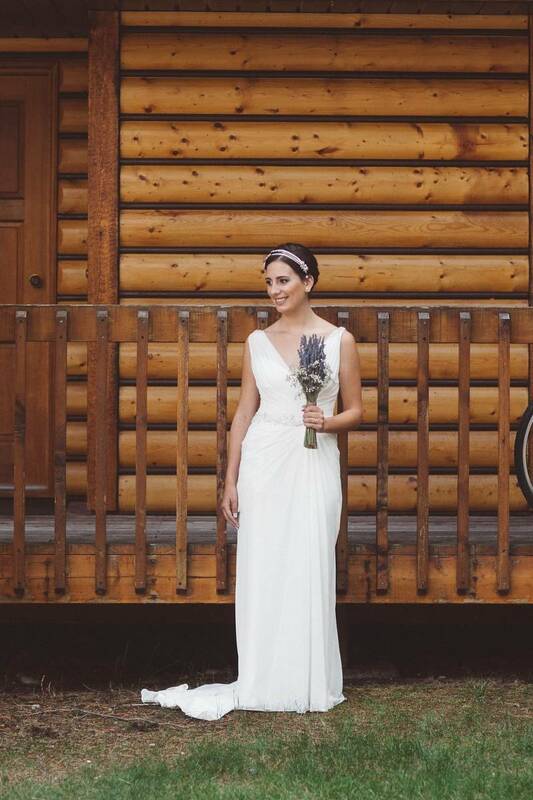 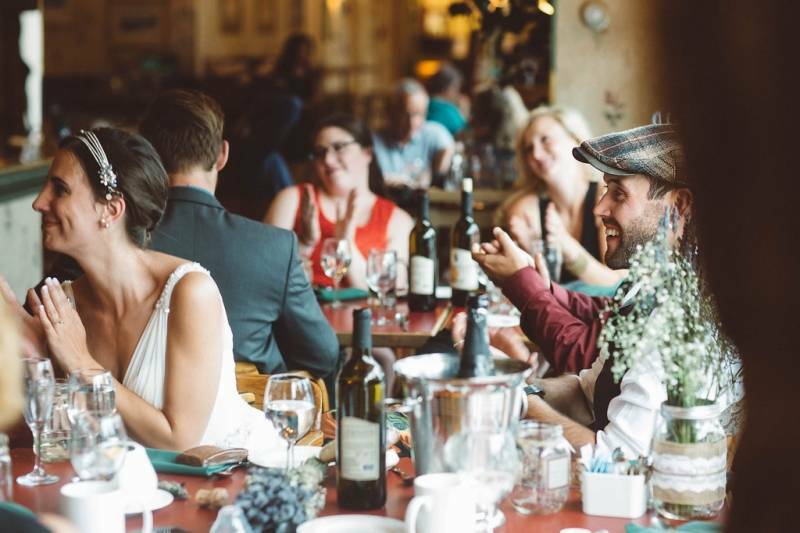 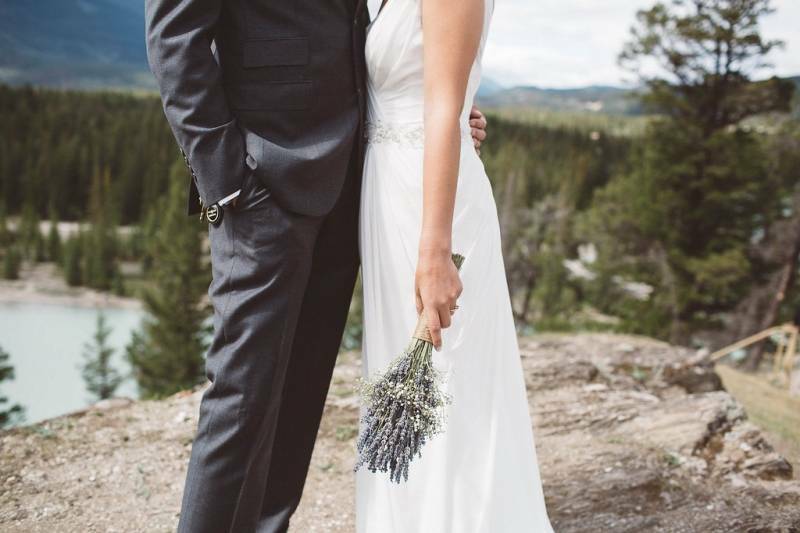 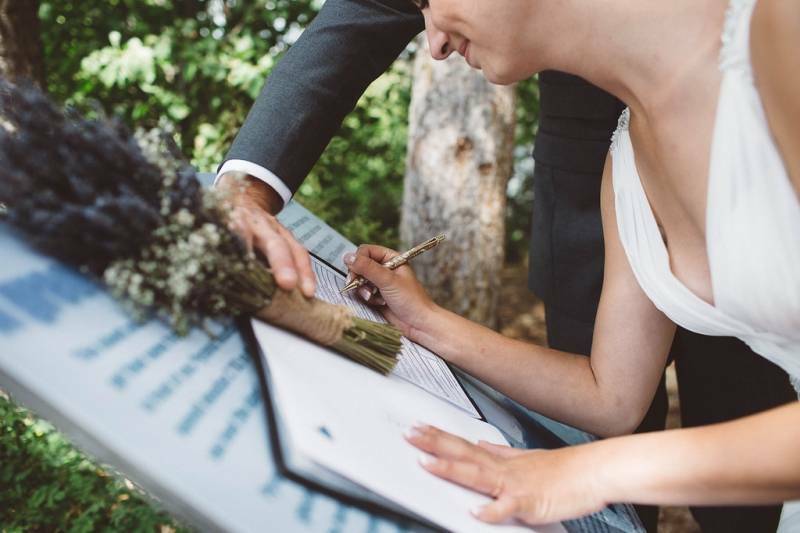 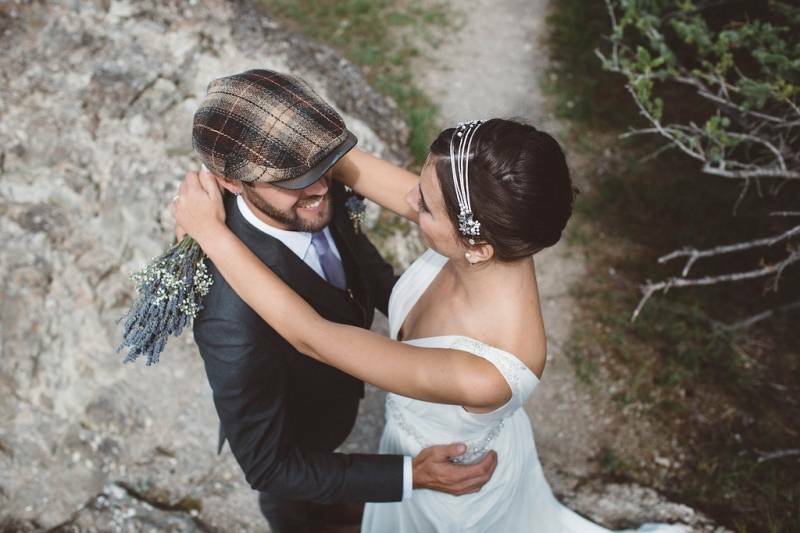 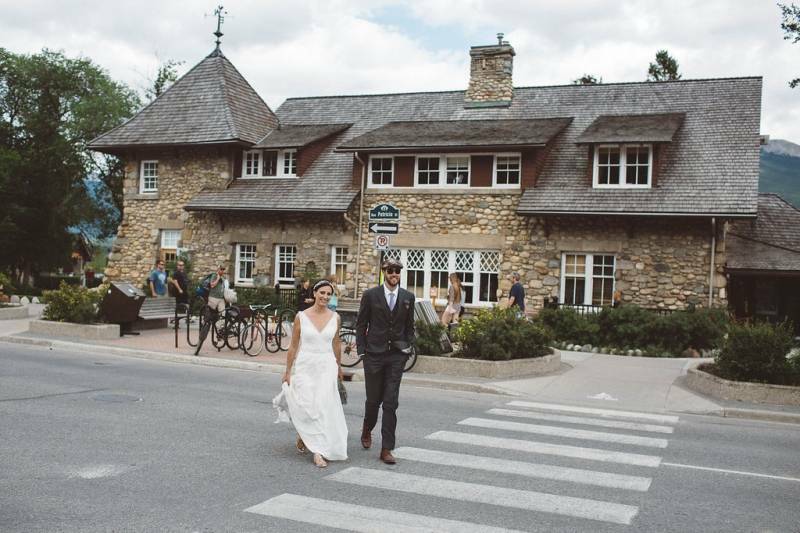 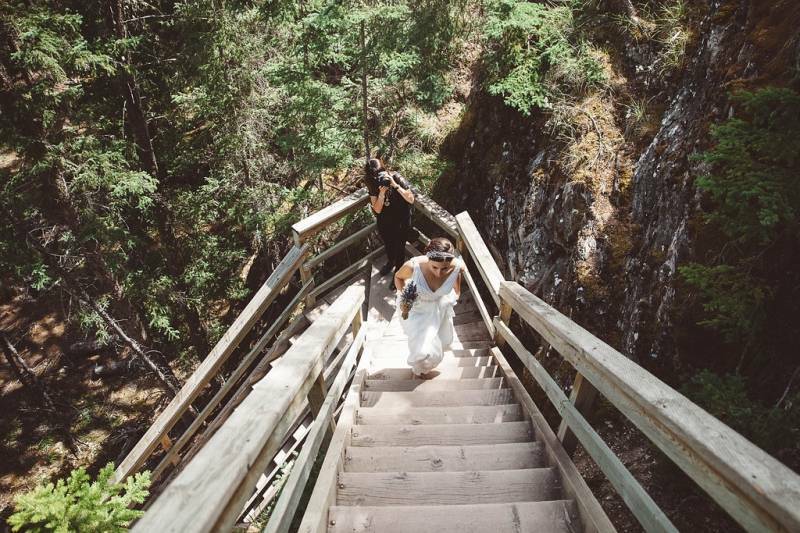 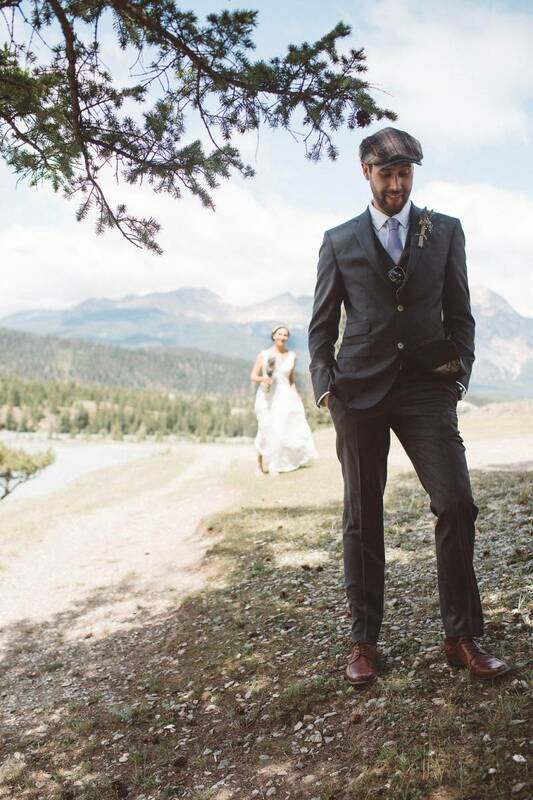 After their Pyrmaid Lake wedding ceremony the couple planned a reception at O'Shea's Restaurant where they dined on traditional Canadian cuisine inside of one of Jasper's vintage hotels. 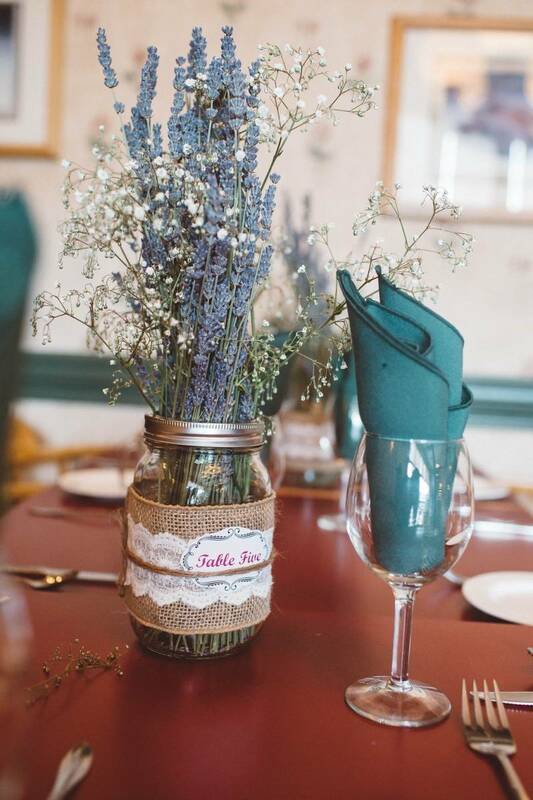 There was no need for extravagant decor, they kept the reception simple and focused on creating beautiful memories. 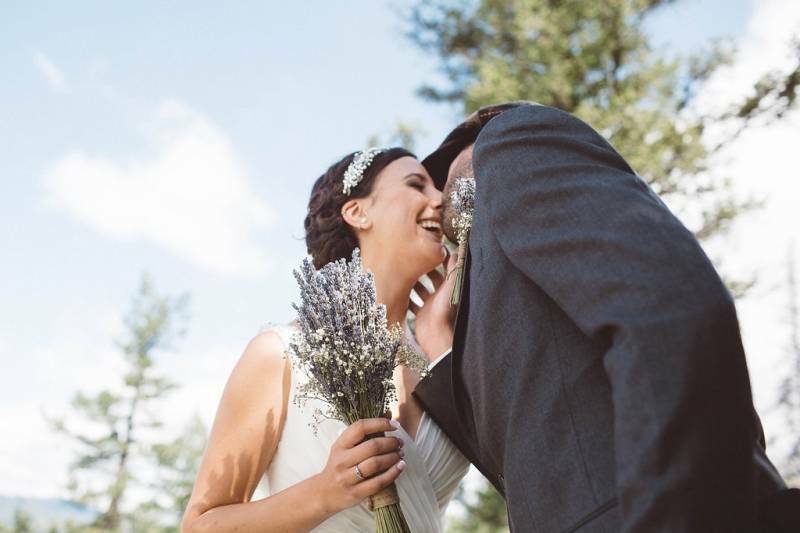 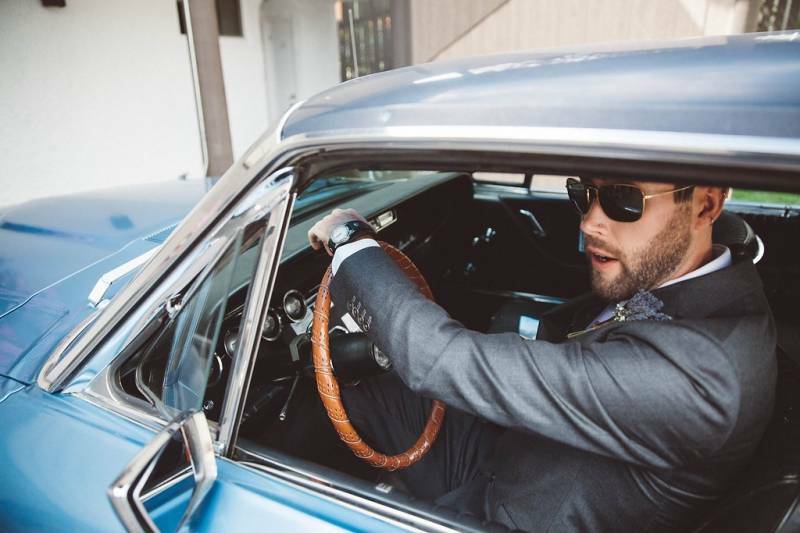 They shared speeches, memories, laughs and tears with their guests over amazing food and finished off their wedding day overflowing with love and support. 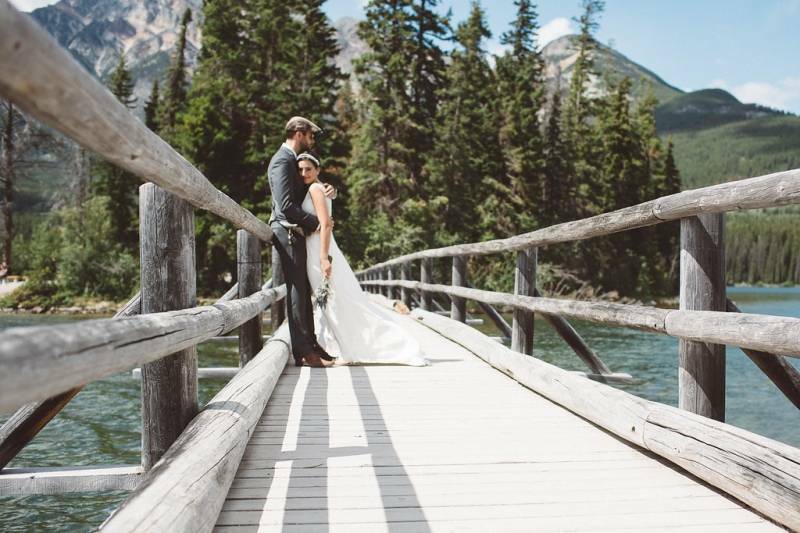 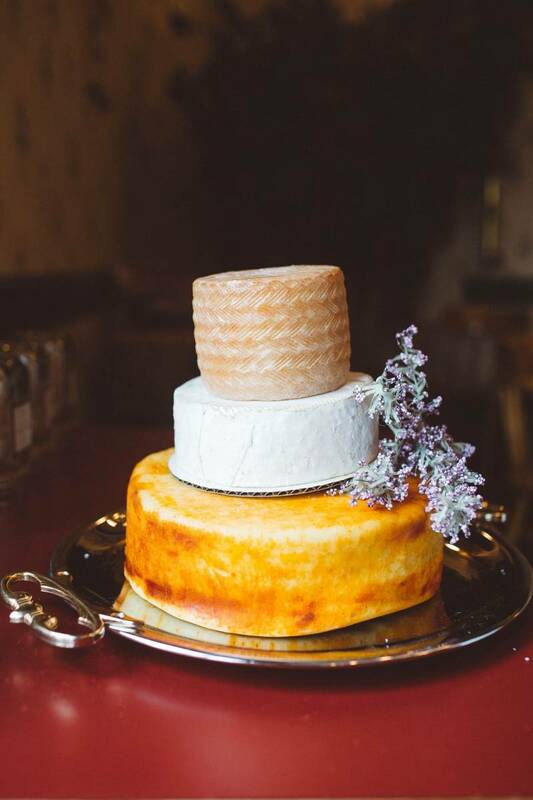 A huge thank-you to Michelle Larmand Photography for sharing this gorgeous wedding with us today! 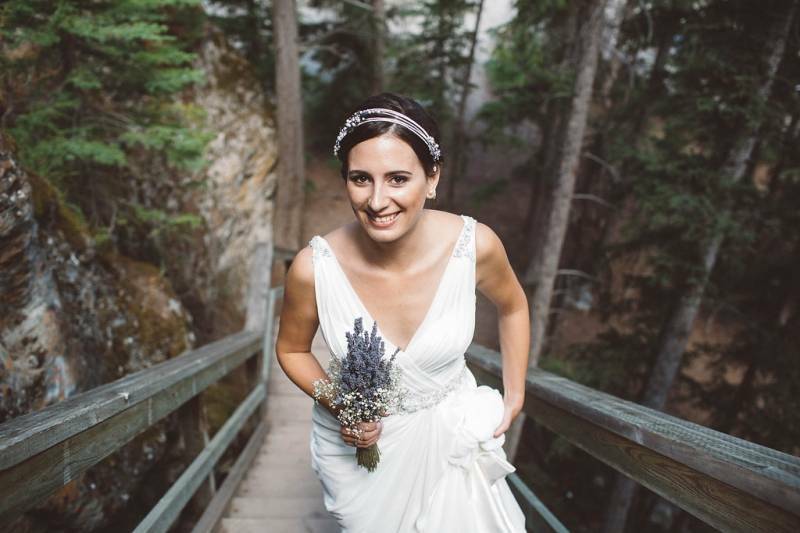 Michelle Larmand Photography is an Edmonton wedding photographer and a member of our premiere wedding list. 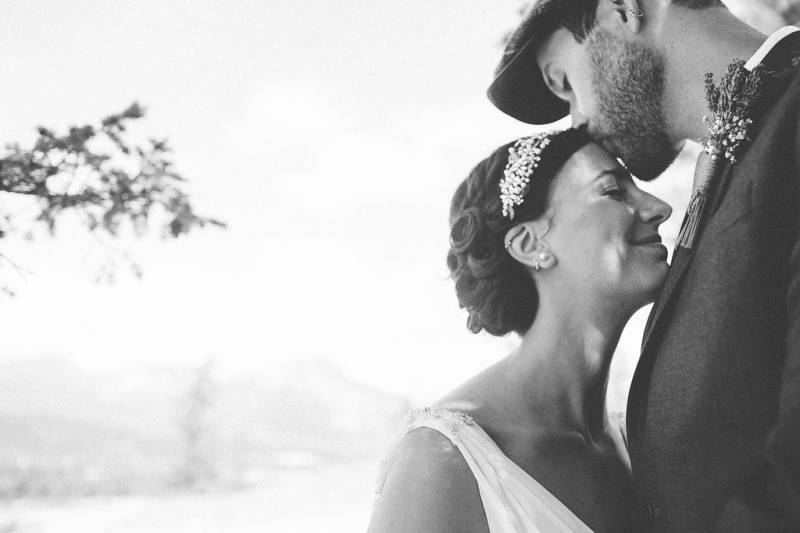 We always love seeing her gorgeous photos and her natural eye for capturing emotion and beautiful memories. 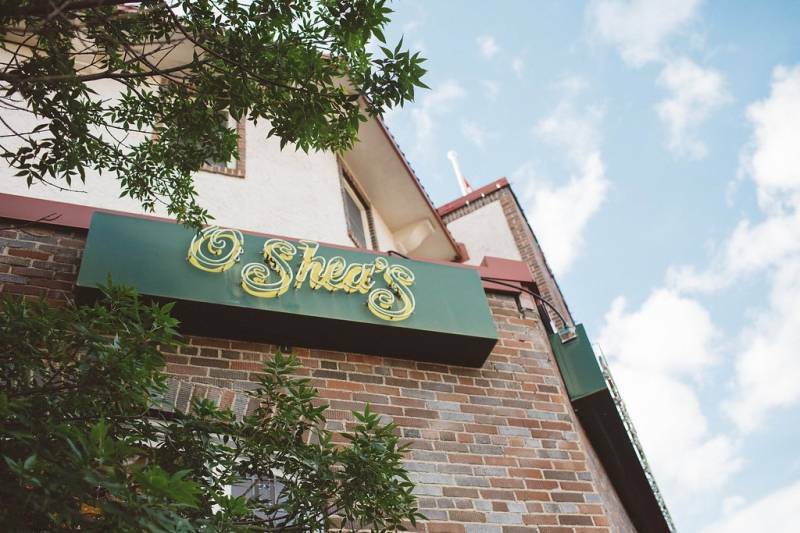 Be sure to check her out!